I would like to start off by apologizing for my lack of blogginess lately. I was in a car accident and I am fine but it takes some time to recover from things like that and so the blog as much as I love it was the first thing to go. I am a member of The Church of Jesus Christ of Latter Day Saints and we are currently teaching our children The Articles of Faith. I would like to give a quick explanation of what the Articles of Faith are before going any furthur: Joseph Smith first wrote them in a letter to John Wentworth, editor of the Chicago Democrat, in answer to his request to know what members of the Church believed. The letter became known as the Wentworth Letter and was first published in the Times and Seasons in March 1842. On 10 October 1880, the Articles of Faith were formally accepted as scripture by the vote of the members of the Church and were included as part of the Pearl of Great Price. 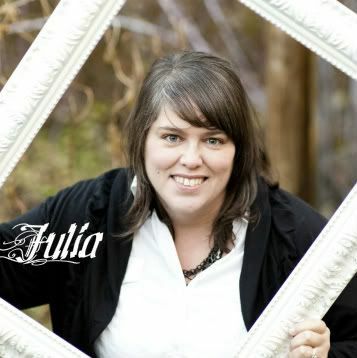 To read the Articles of Faith click here. It is a simple chart made with poster board and markers. I attached the candy with double sided tape and then attached it with double sided tape to the inside of the cabinet door which houses our scriptures. 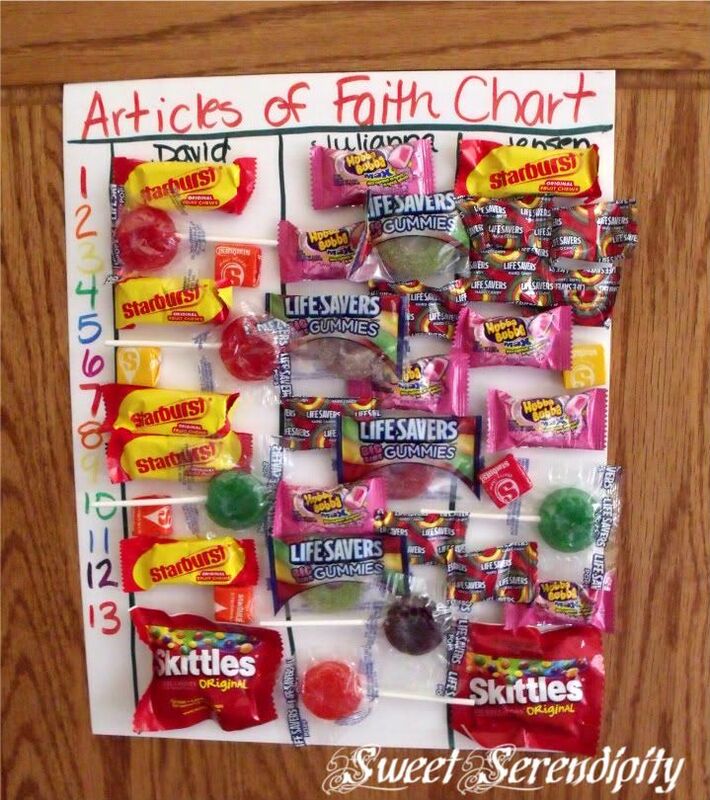 For every Article of Faith they memorize they get to take a piece of candy off the board. My children are sooo excited and they are pulling out their scriptures all the time now!! !